In recent years, MySQL has become a top database choice for new application development and migration from overpriced, restrictive commercial databases. We'll provide an overview of the MySQL and MariaDB options available on AWS, and do a deep dive on Amazon Relational Database Service (RDS), a fully-managed MySQL service, and Amazon Aurora, a MySQL-compatible database with up to 5x the performance and many additional innovations. Chayan Biswas is a Sr. Product Manager with the Amazon RDS team, currently focusing on Amazon Aurora MySQL, RDS MySQL, and RDS MariaDB engines. Prior to RDS, he was a Sr. PM in the management tools space and worked on key services such as AWS Config, Config Rules, and CloudTrail. 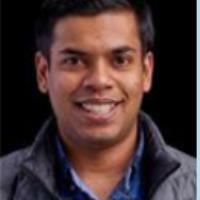 In his prior career, Chayan spent nearly 8 years in enterprise IT, designing and implementing large scale distributed ecommerce solutions as a solution architect. Chayan received his Master's in Business Administration (MBA) from the Carnegie Mellon University's Tepper School of Business and an undergraduate degree in Engineering from National Institute of Technology Karnataka, India.